LA ROCHE-POSAY ROSALIAC AR INTENSE Localised Redness Intensive Serum is a soothing facial serum that treats localised areas of redness and rosacea. For both women or men experiencing sensitive, dry and fragile skin prone to redness. The soothing serum immediately calms sensations of discomfort including stinging and burning, not only working to reduce signs of rosacea, but also preventing its reappearance. Skin is left feeling soothed, softened, and calm. Active Ingredients: Ambophenol, Neurosensine, Thermal Spa Water. Skin Type: All Skin Types, Tested on Sensitive Skin. 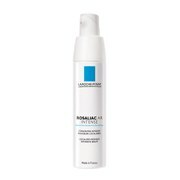 LA ROCHE-POSAY ROSALIAC AR INTENSE Localised Redness Intensive Serum 40ml was found on 6 websites and was price compared using EAN: 3337872413032. 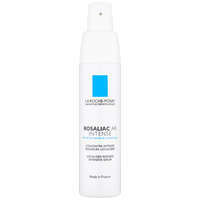 The cheapest LA ROCHE-POSAY ROSALIAC AR INTENSE Localised Redness Intensive Serum 40ml is shown as the main item, prices range from £12.33 to £18.50, excluding delivery. Price comparison based on price and delivery charges, with any valid discount codes being applied, is shown in the table above. Prices and information correct at the time of publication.